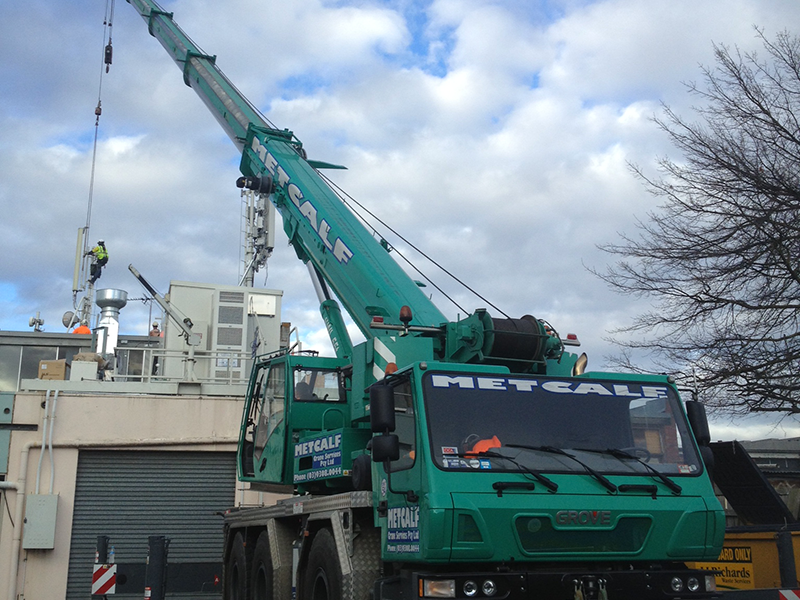 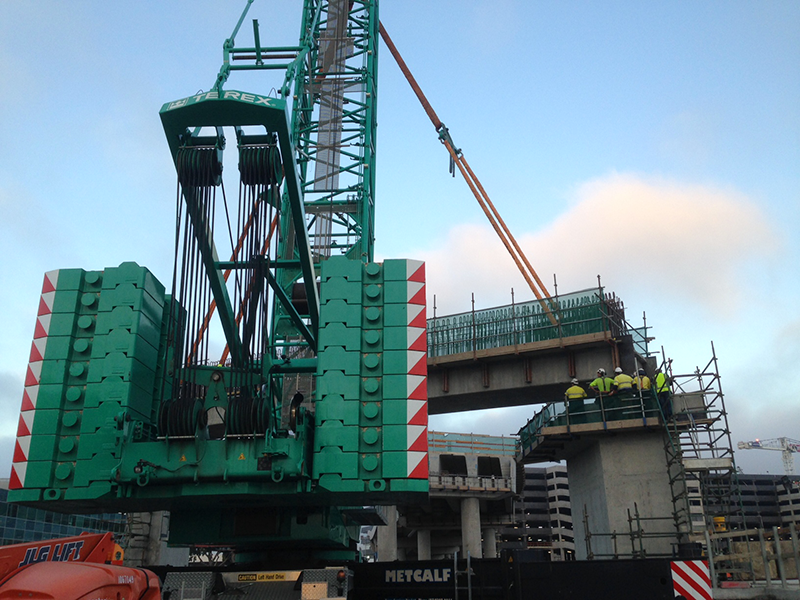 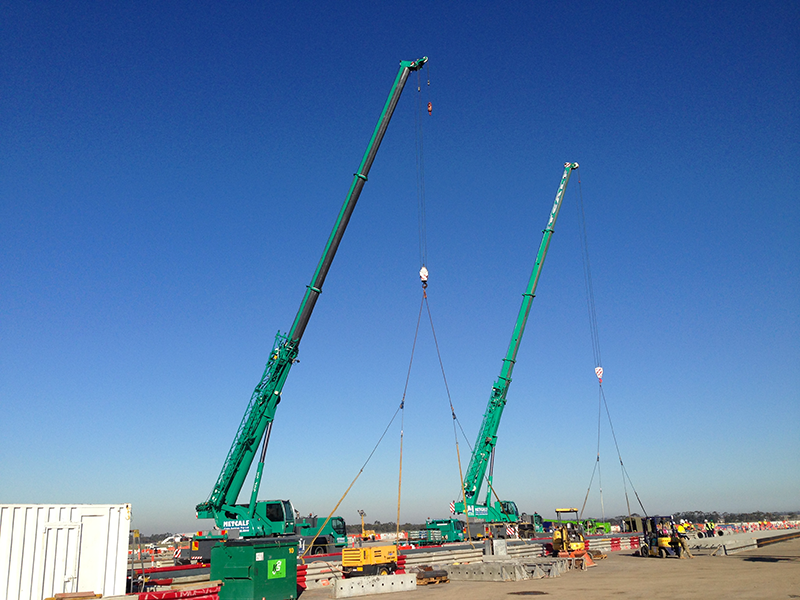 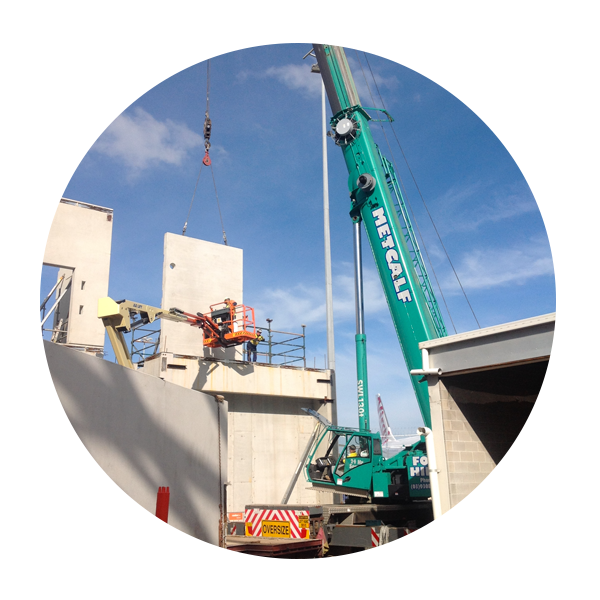 Metcalf Crane Services have enjoyed a long and proud history working in the construction industry. 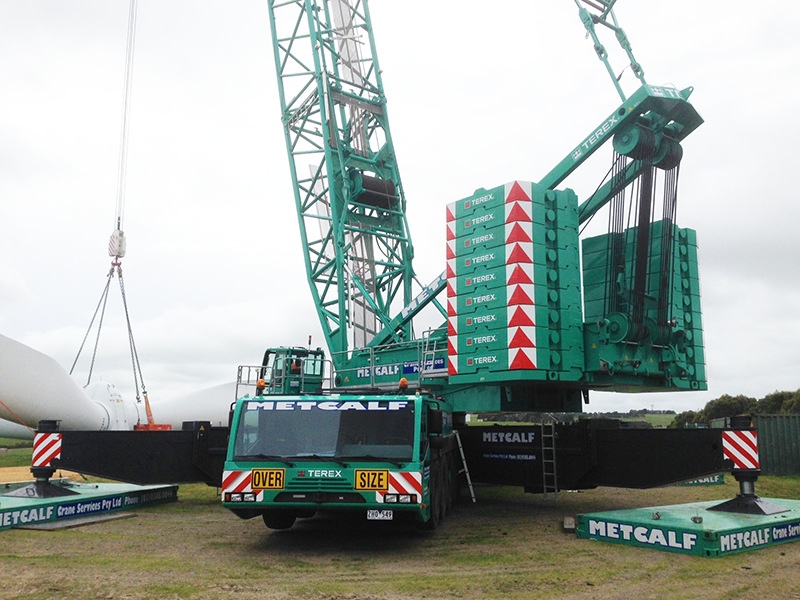 Our commitment to safety and our understanding of the challenges faced working in this environment sees Metcalf Crane Services as first choice for many clients seeking lifting solutions in the rail network, building bridges, maintaining wind farms, etc. 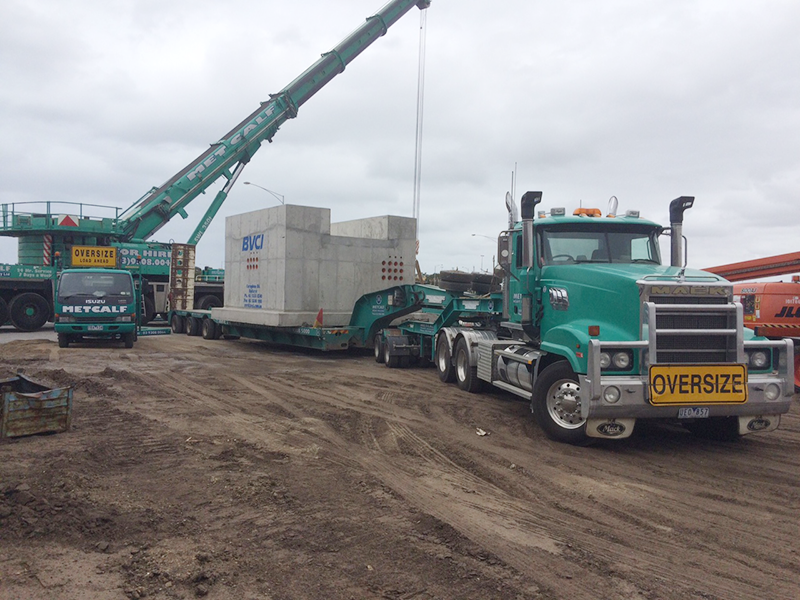 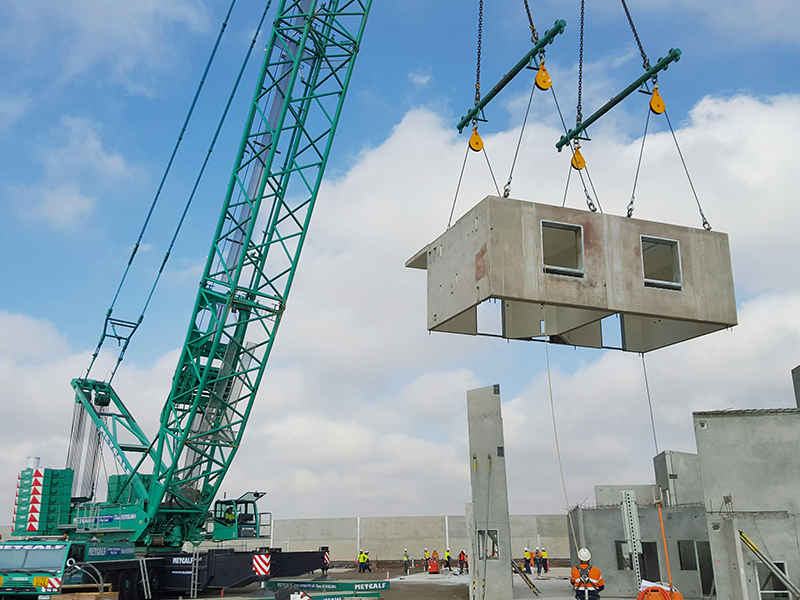 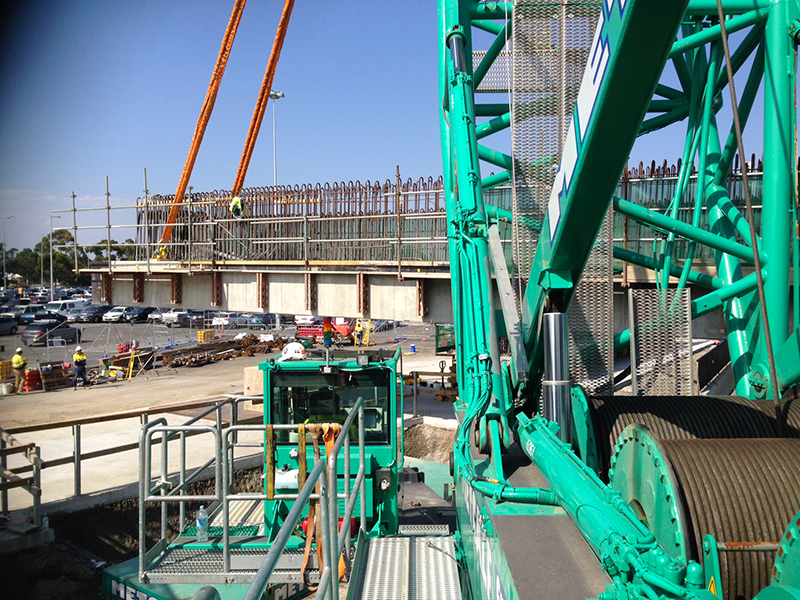 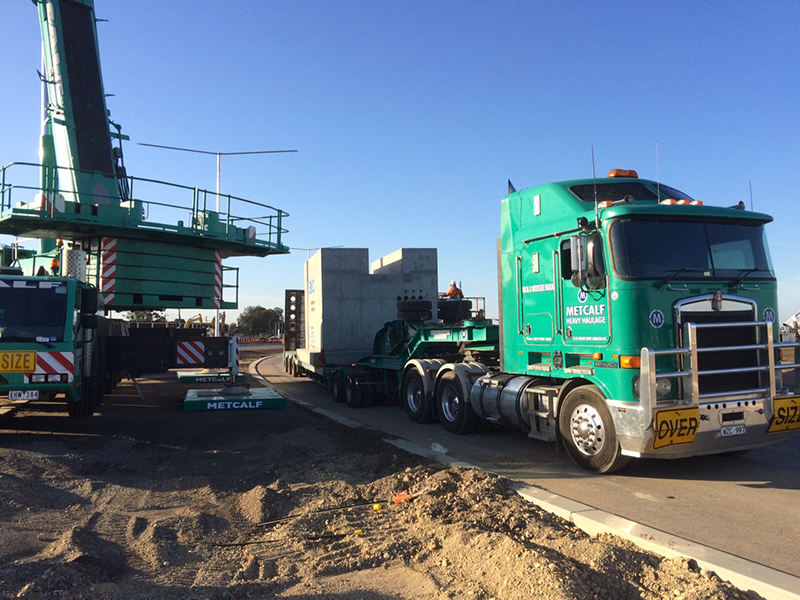 Precast super t beams, steel trough girders, prefabricated pedestrian bridges and modular section bridges are all in a days work at Metcalf Crane Services. 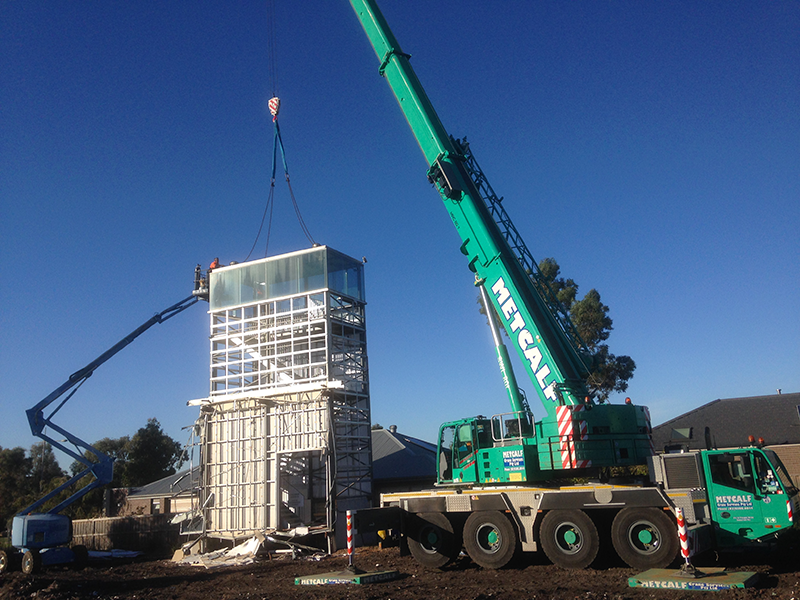 Utilising modern CAD design software, we are able to produce high quality 3D plans which ensure your marquee lift is completed safely and efficiently. 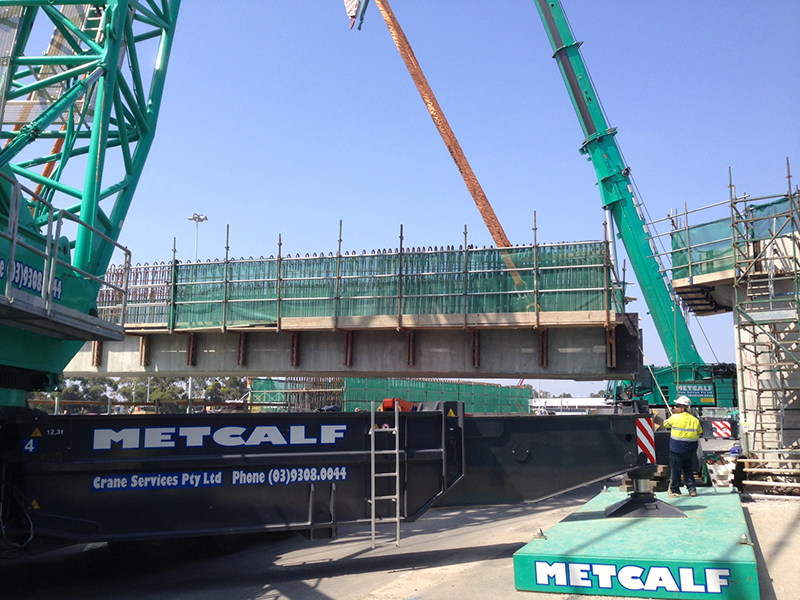 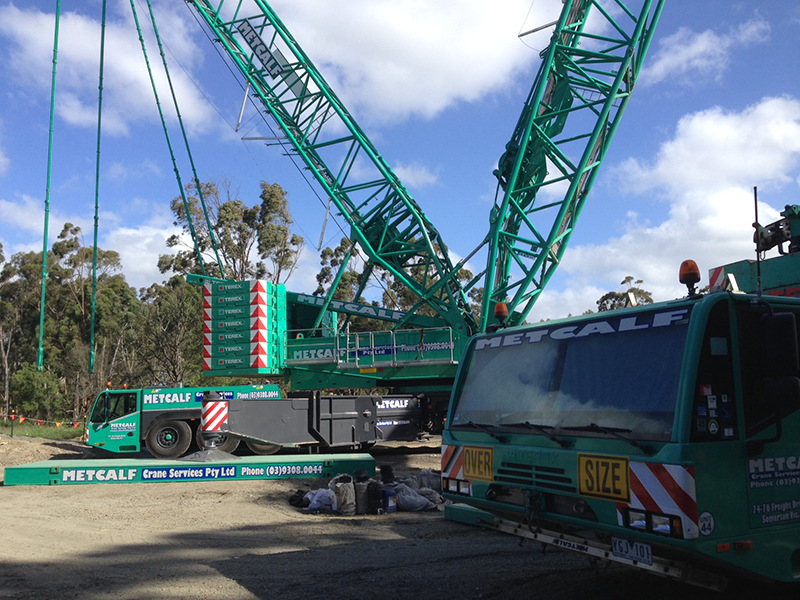 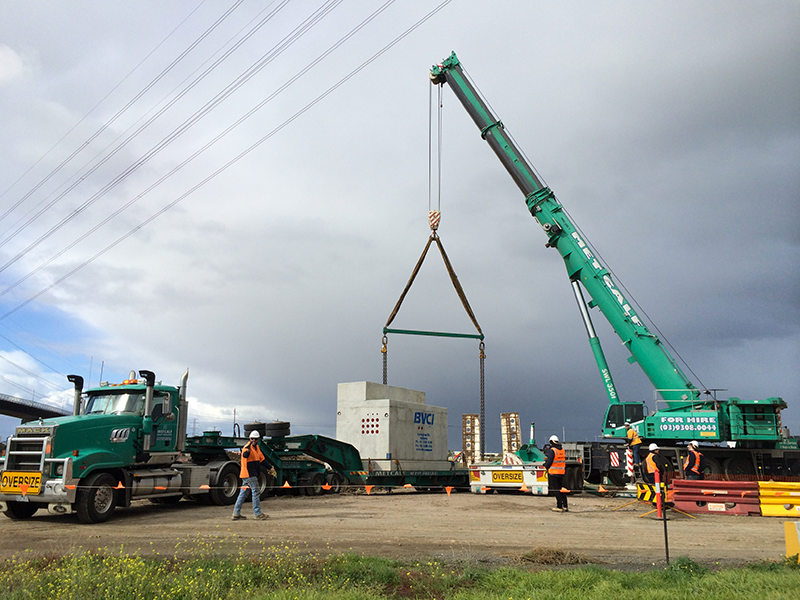 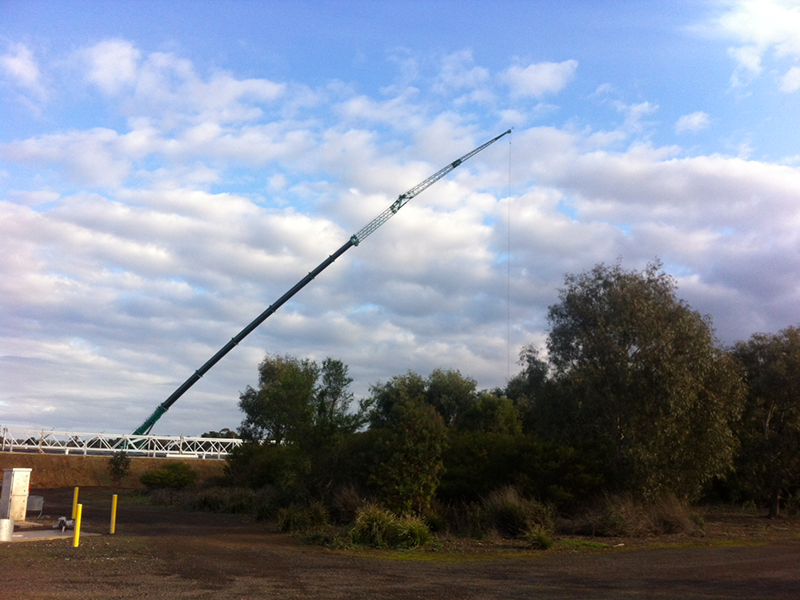 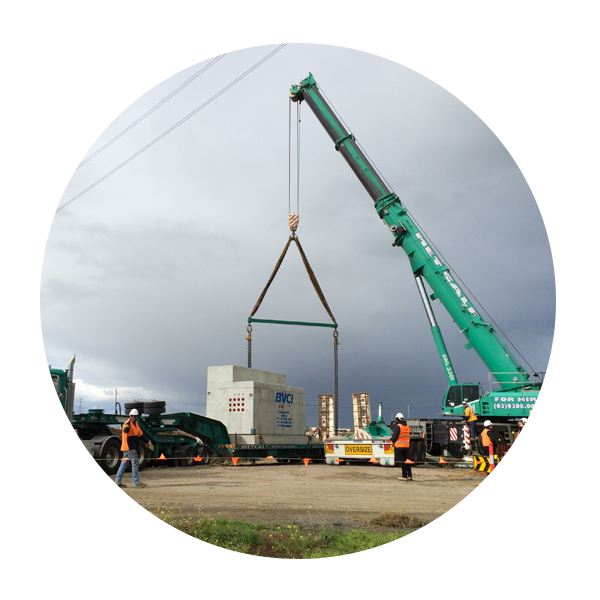 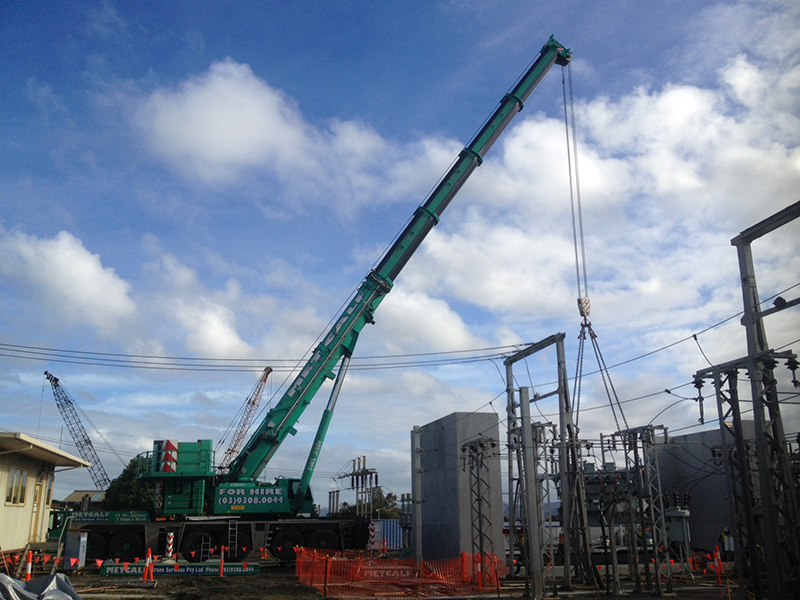 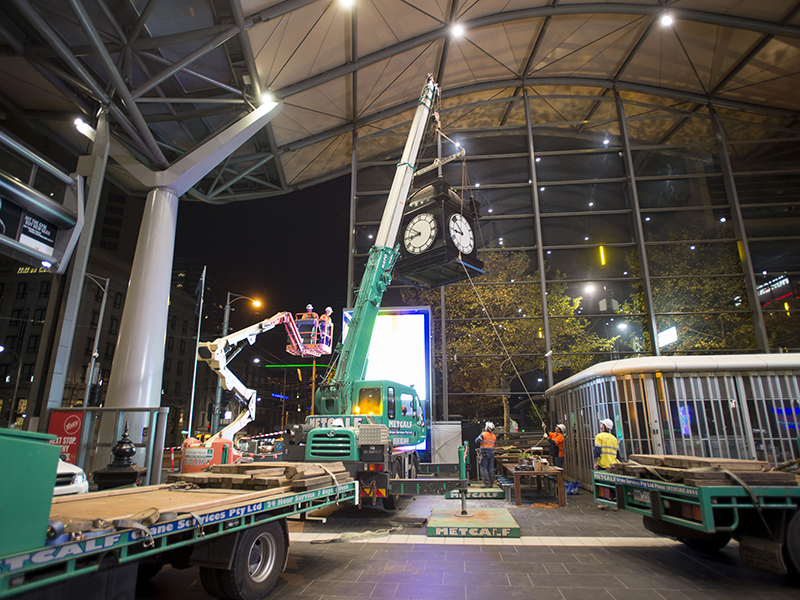 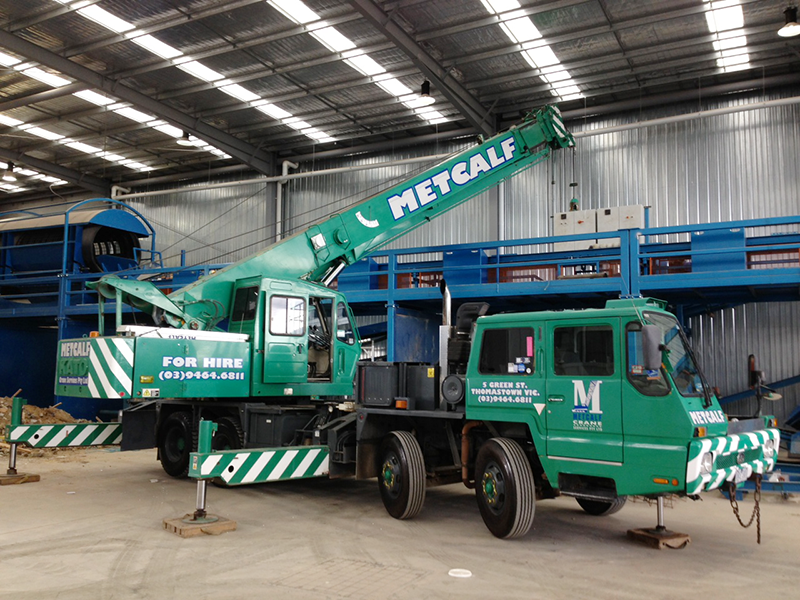 Metcalf Crane Services have enjoyed a long and proud history working in the rail corridor. 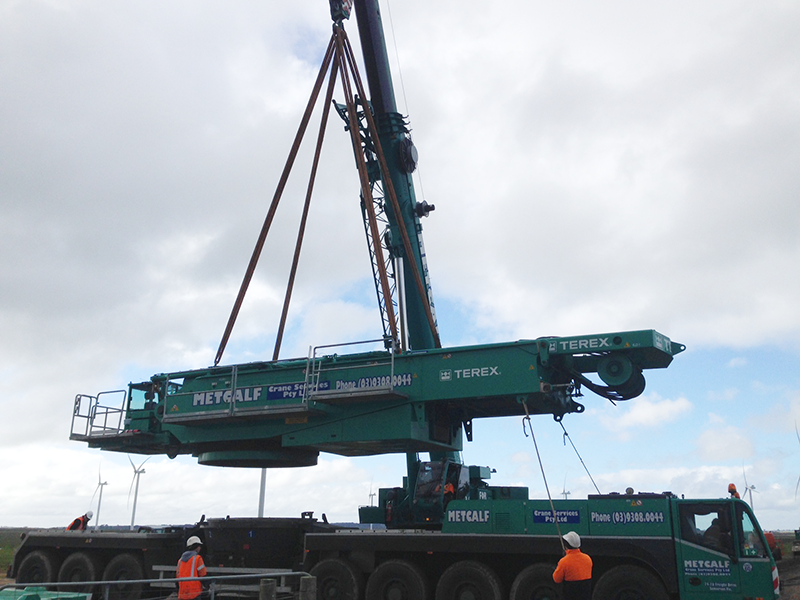 Our commitment to safety and our understanding of the challenges faced working in this environment see Metcalf Crane Services as first choice for many clients seeking lifting solutions in the rail network. 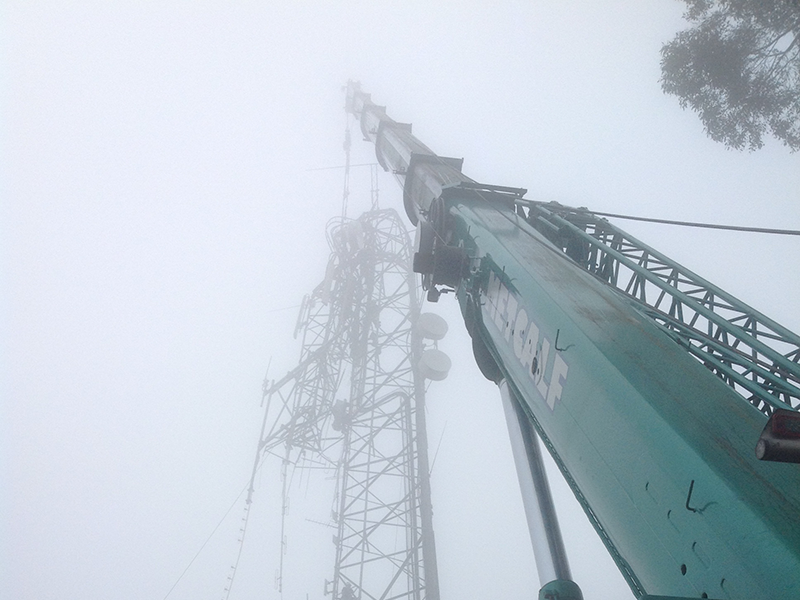 The value of being able to foresee problems and plan tasks effectively allows us to execute jobs in a safe and timely manner even in the most arduous conditions. 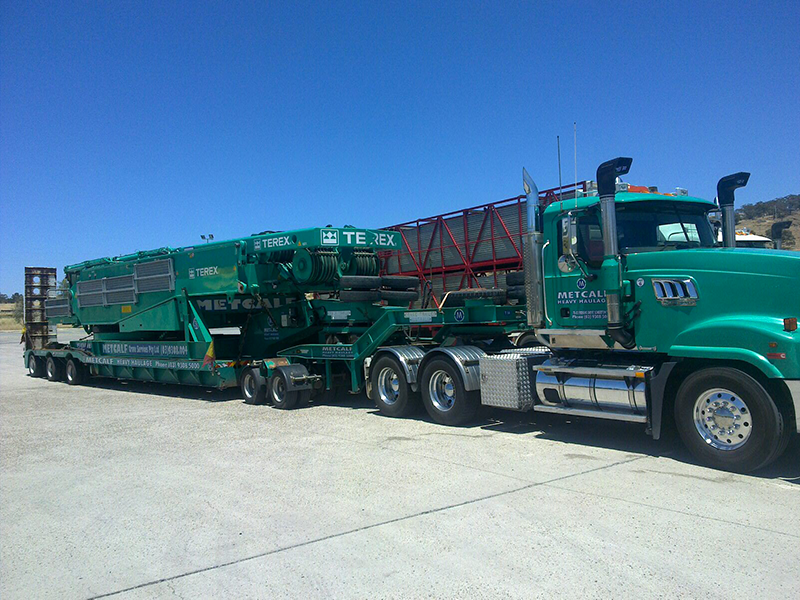 There is no challenge too great as we live our motto of ‘getting the job done’. 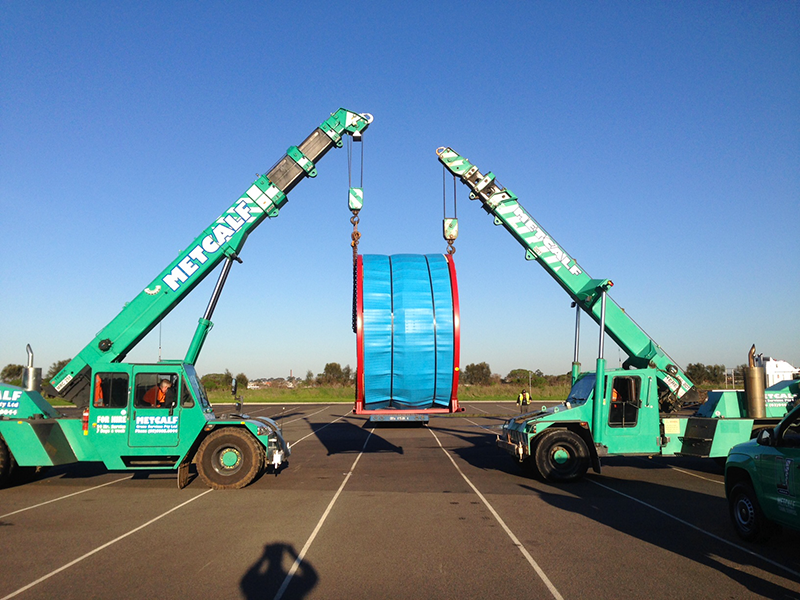 From tunnelling, to treatment plants to pipelines, the opportunities in water infrastructure are significant at Metcalf Crane Services. 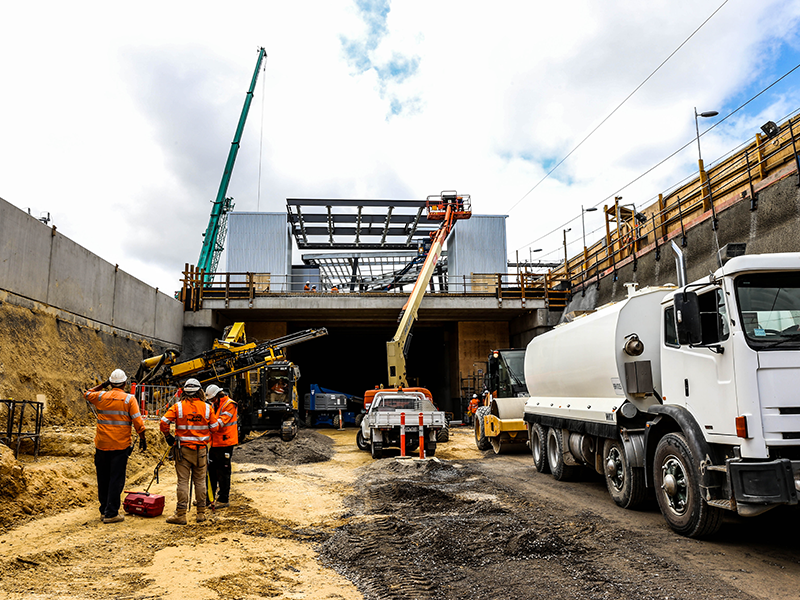 A reliable work force and modern equipment make us an easy choice for the contractors tasked with building and maintaining water resources. 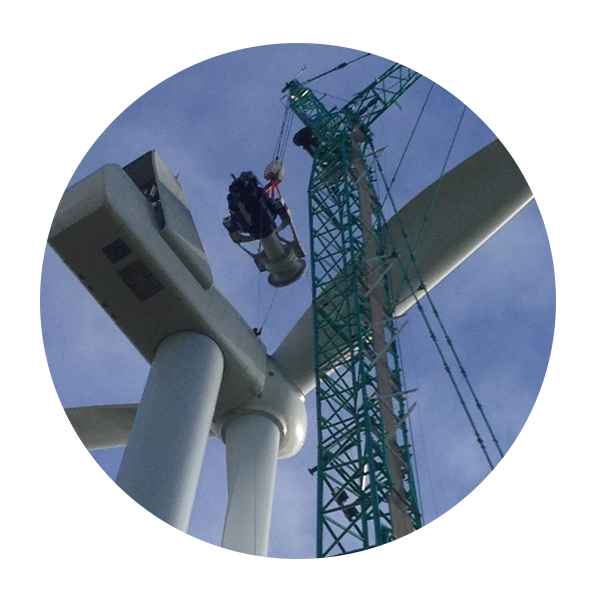 Gearbox replacements, main shaft repairs and blade tip repairs are just some of the maintenance tasks completed week by week in this market. 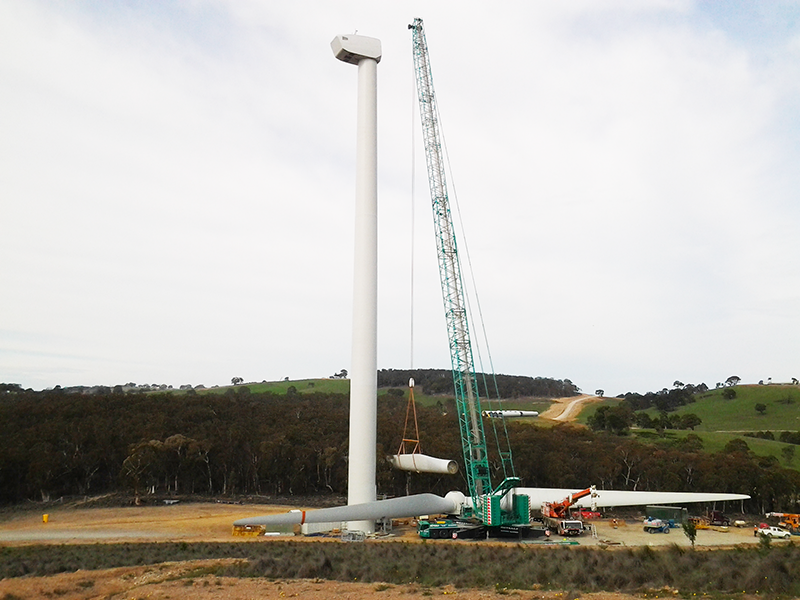 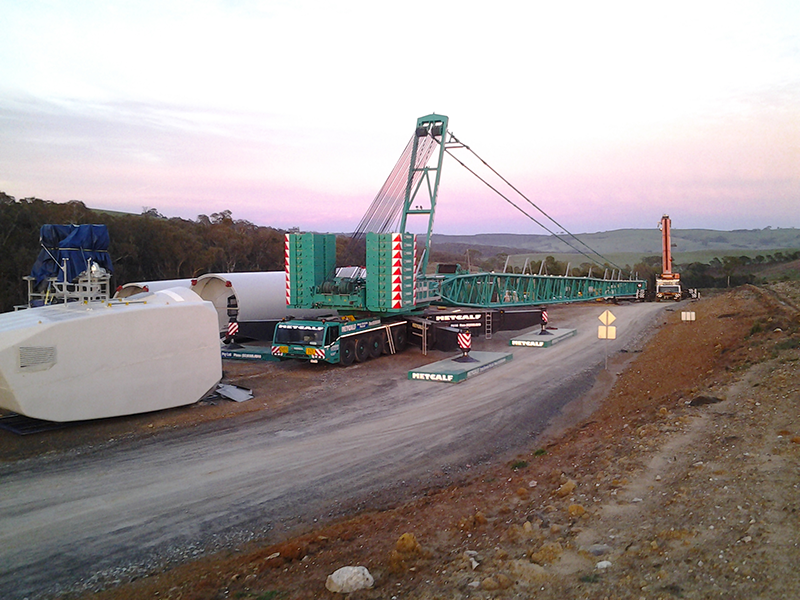 Construction capability is just a phone call away with our 600t Demag ideally suited to wind farm construction. 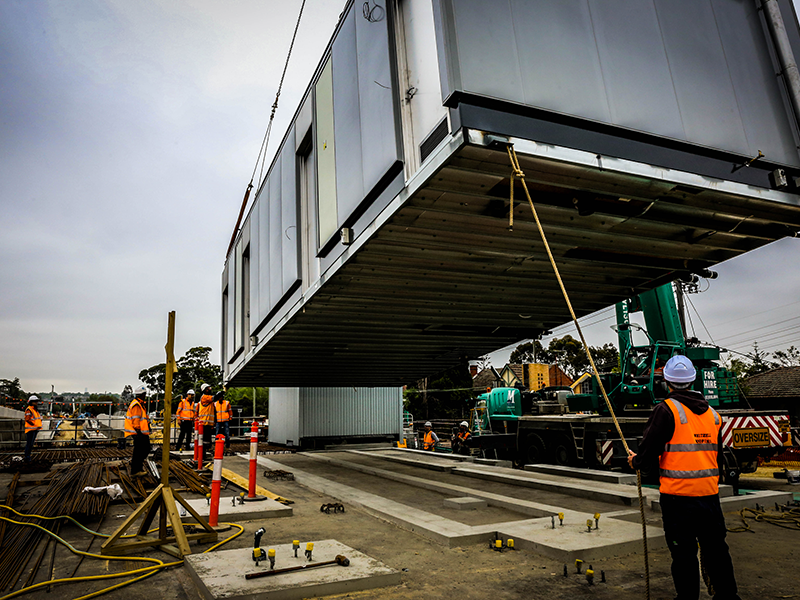 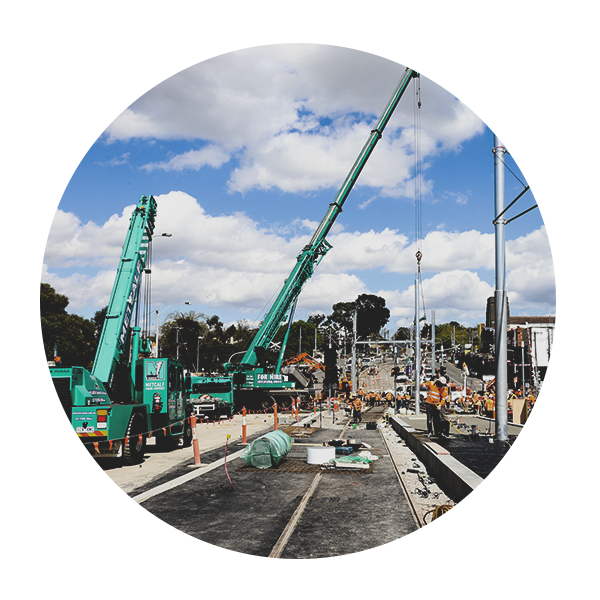 Simple tasks are often confounded by the volume of other activities often seen on building sites so being able to forecast what might get in the way of a simple task puts us in a good position to help out where possible. 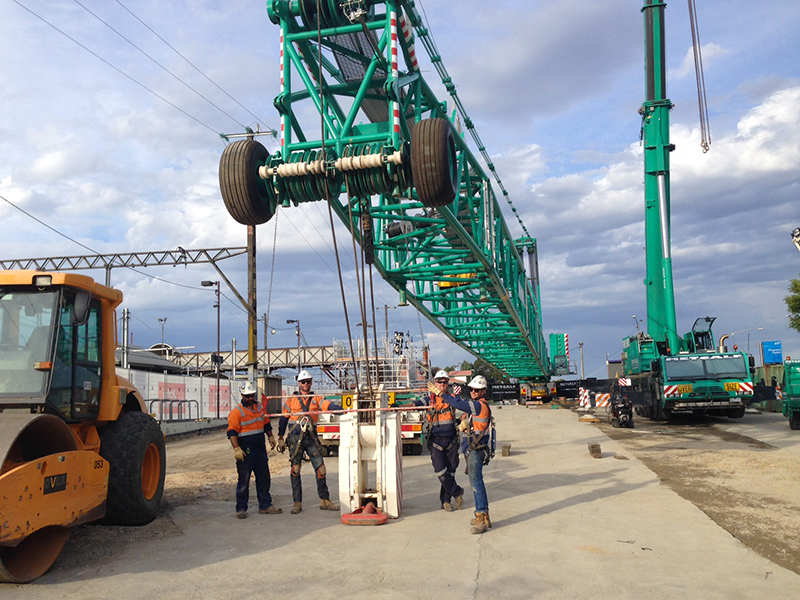 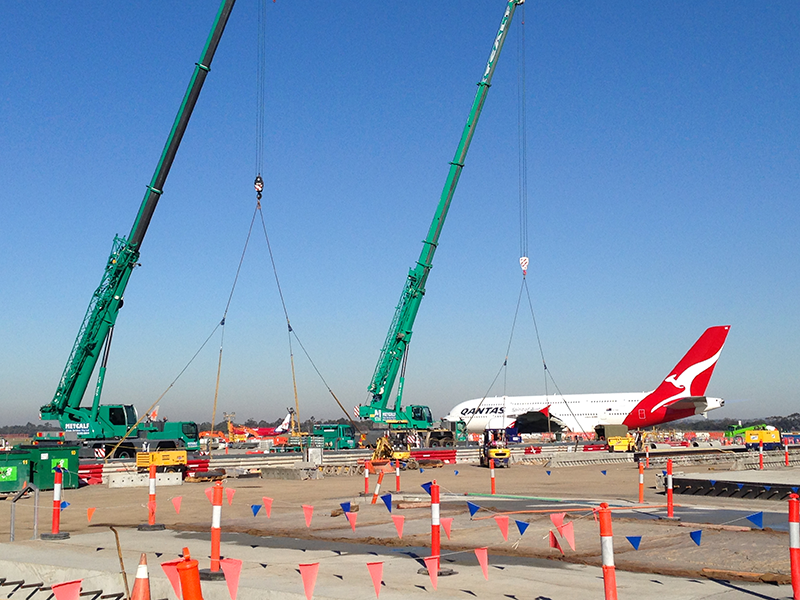 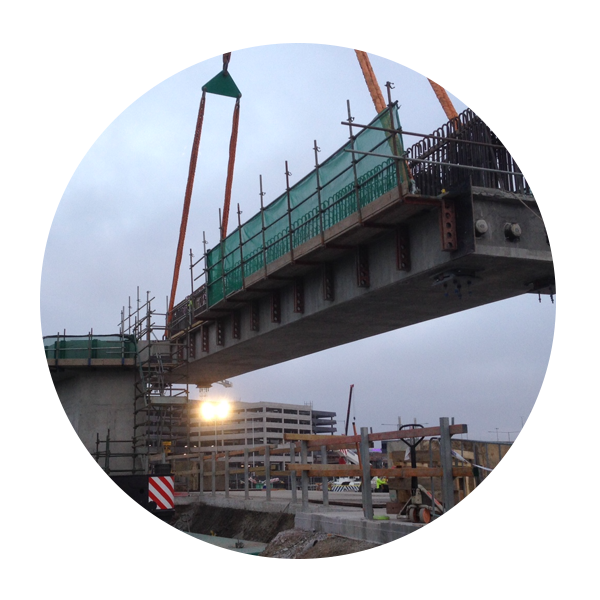 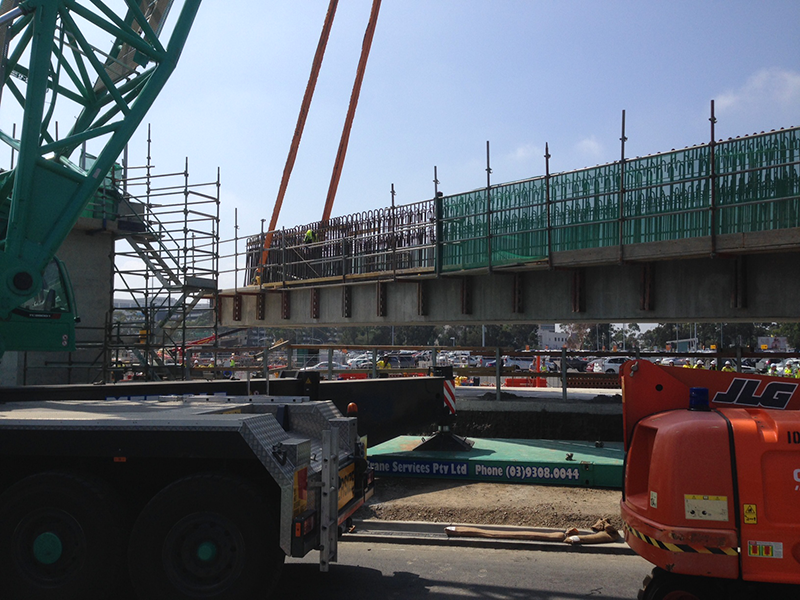 Helpful and sensible crews along with the correct lifting resources help us get the job done every day. 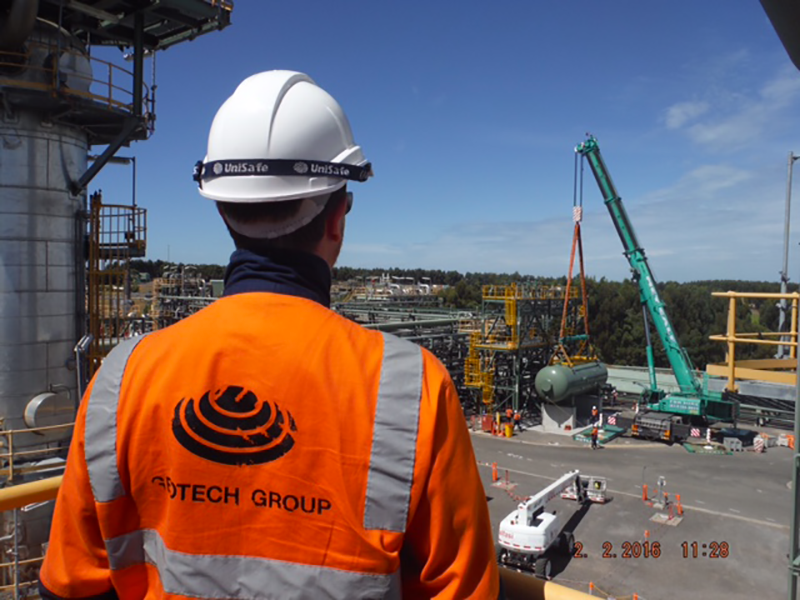 The ability to provide exceptional planning documentation is pivotal to the success of works within the power and gas space. 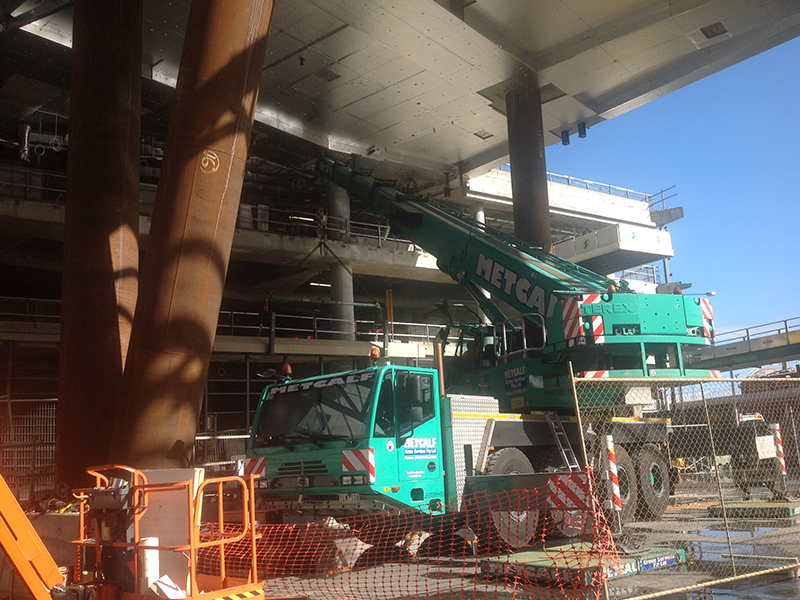 Our foundation of engineering and OH&S support is industry first as we continue to develop planning tools. 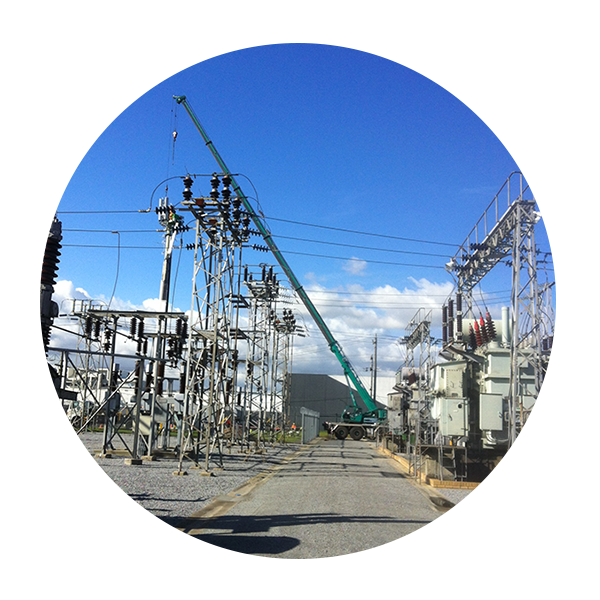 The responsibility of working within live power sites is standard operating procedure at Metcalf Crane Services with our clients safe in the knowledge they de-risk their job engaging us. 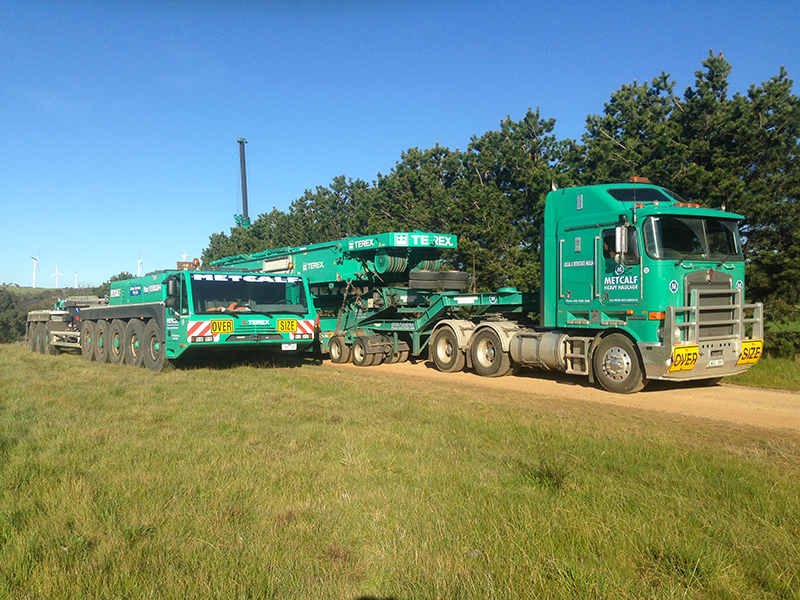 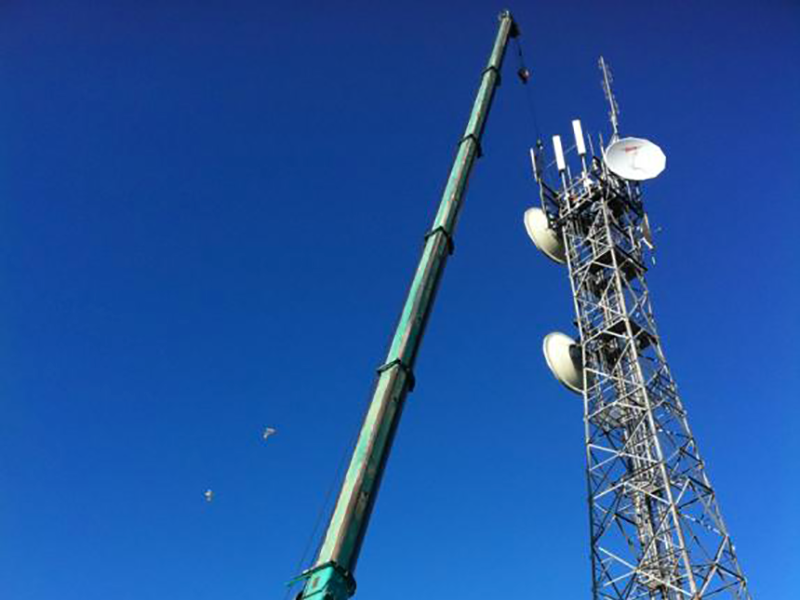 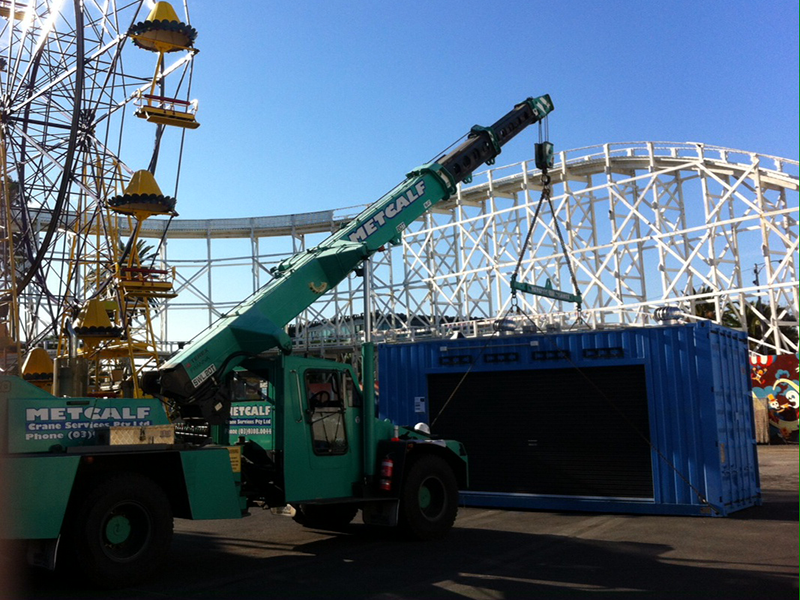 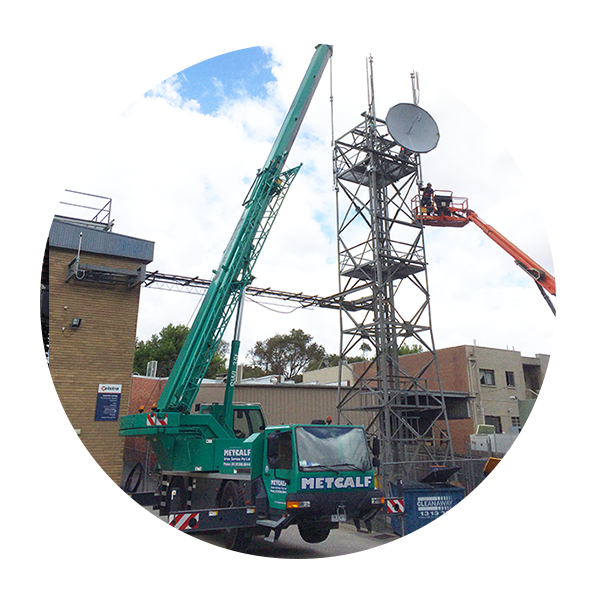 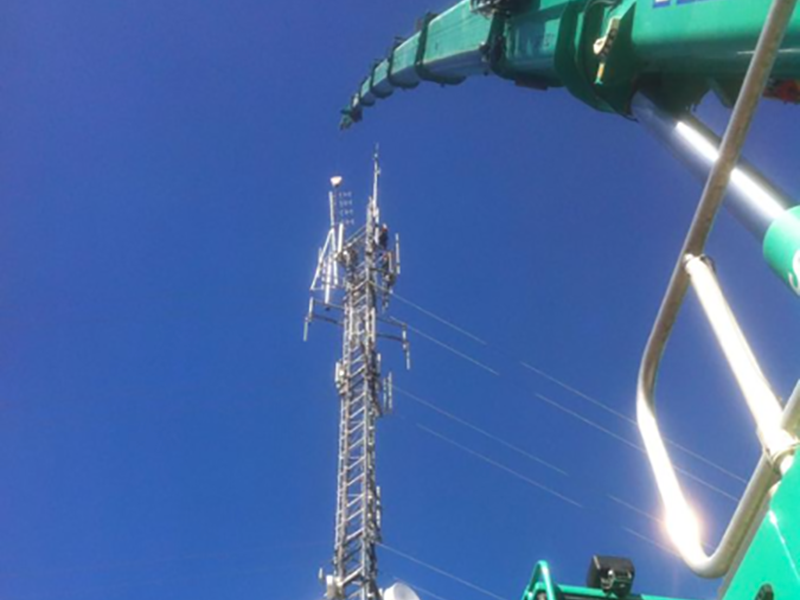 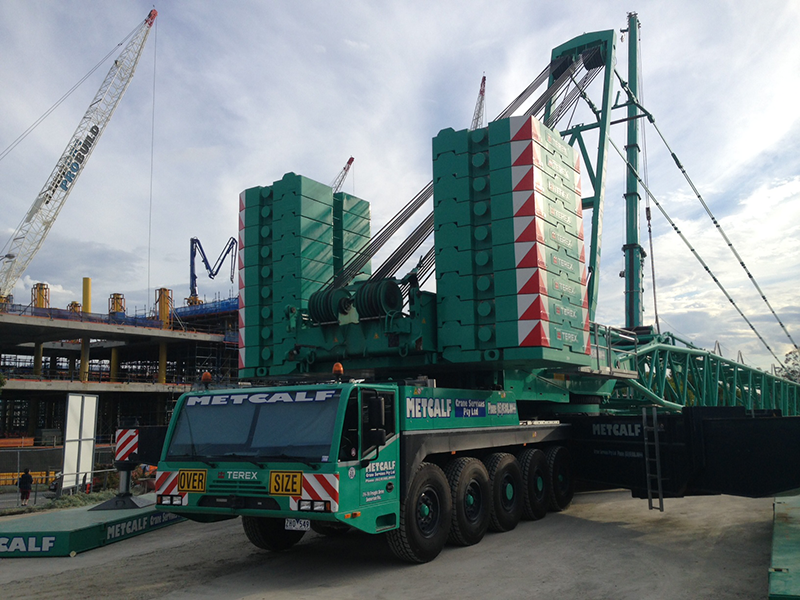 Mixing our large range of cranes within the fleet with the added benefits of in house transportation allow us to provide first class service in the telco space.